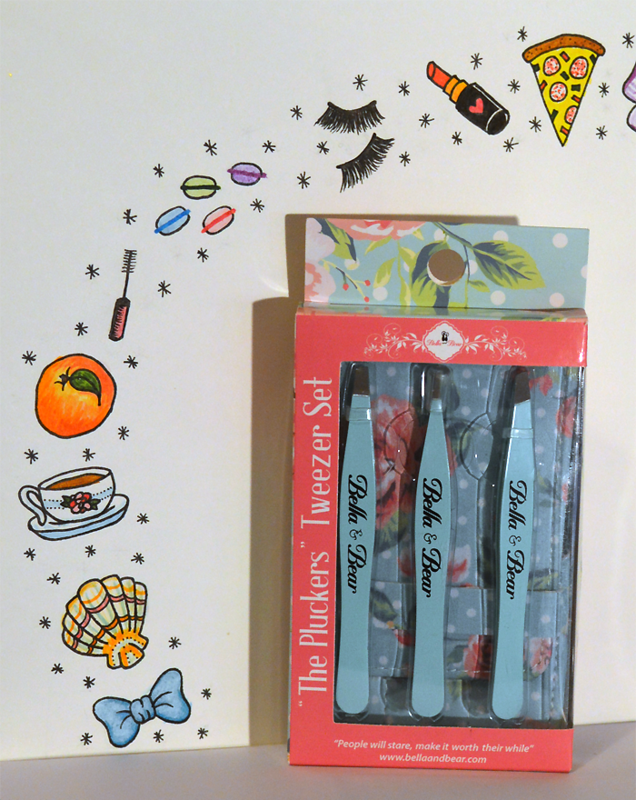 Bella and Bear 'The Pluckers' Tweezer Set - Sugar, Darling? One thing that I have learnt over the last few years as my make up and styling knowledge has grown is that having good eyebrows really makes a huge difference not only to your face but to your entire look. Sure you might have a cracking outfit on but if your brows looked unkempt and badly shaped your overall look just won't look polished and complete. Also, don't tell anyone but having good brows and clean well applied make up can mean that you you can afford to be a little lazier with your hair or outfit - if you've put the effort in to your face then the chances are that people will think that bed head is just the tousled look or that tee and jeans outfit is you going for a casual minimalist look! The first thing you need in order to get those brows in order is a good set of tweezers. Set you say? Can't I just get one kind? Well yes, you can just get one kind and you'll still do just fine with having a set with different head shapes means you'll be able to really perfect them. One great little set that I've come across is the 'The Pluckers' Tweezer Set (£15.50*) from Bella and Bear, a brand that I've featured a few times before. The set features three style of tweezer, the straight head, the pointed head and the angled head. To be honest I don't use the flat style all that often unless I'm needing to tackle an area that's got a little out of hand say if I've not been able to pluck for a week or so as I find them easier to work quickly with. My most used set is the angled head as I find it great for grabbing the hairs under my brows and the strays over the top, then I'll go in with the pointed head tweezers for a bit of precision work, grabbing the little hairs along the bottom line of my brow in order to give them a smooth and uniform shape. The pointed set are also great for getting rid of splinters and apparently for ingrowing hairs too however I haven't had the need to try them on that particular ailment yet. 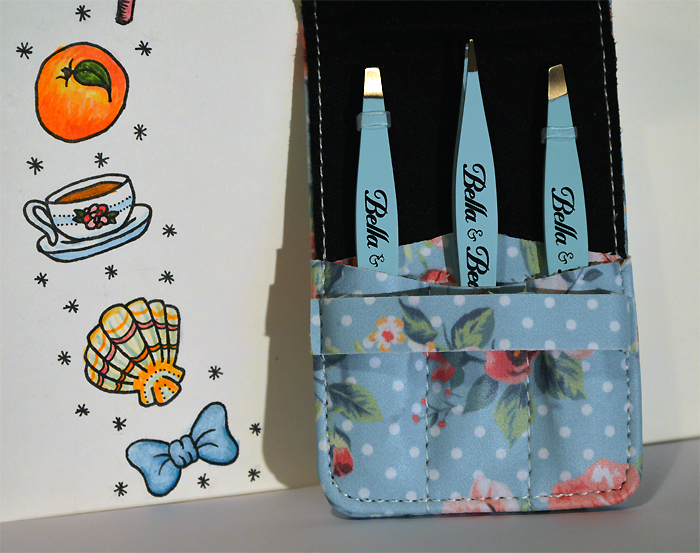 The tweezers in this set feel nice in your hand and are a lovely pale teal colour, the shape makes them comfortable to use and I adore the fact that they come in the pretty and very handy little case. It makes them really easy to travel with as you won't have them rattling around in your bad and it also prevents the heads from going blunt and not grabbing the hairs as well. 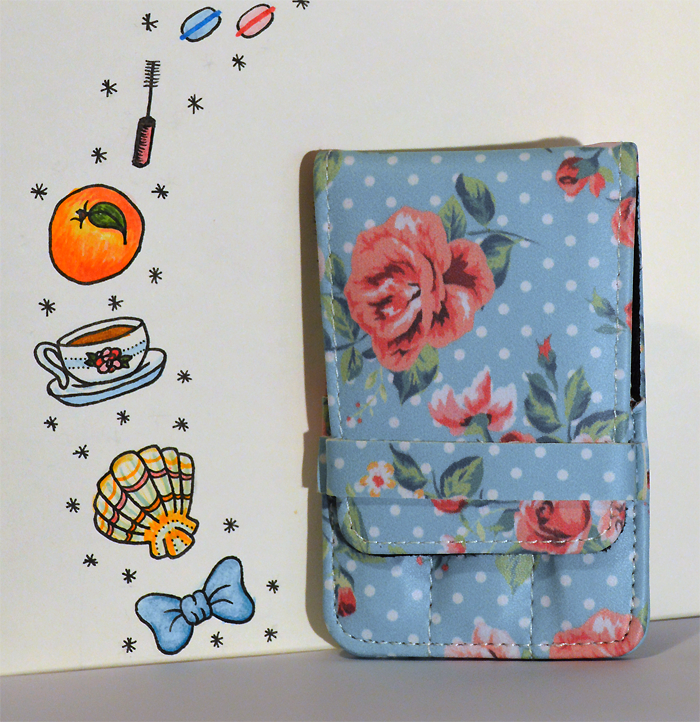 The design is awfully sweet too, very kitschy cute. If you're on the market for some new tweezers I'd definitely recommend this little set but I think they'd also make a lovely stocking filler present for Christmas - plus if you head over and buy them now you can get them for an amazing £8.50 off the normal retail price, plus there's free delivery and a money back guarantee if you don't love them too! Wonderful!